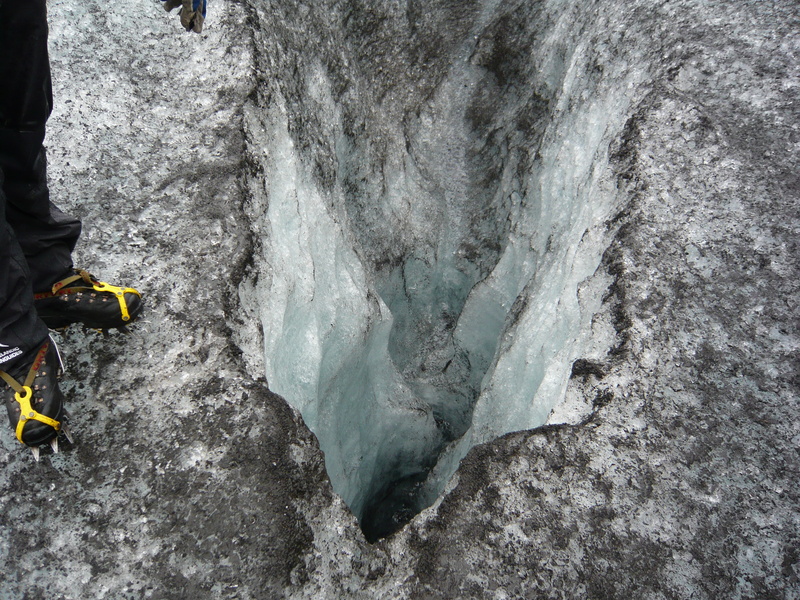 I certainly wouldn’t want to fall down those crevasses! It looks very cold indeed. Thanks Karyn! The cold actually sounds GREAT right now as it is 105 degrees F here in Minneapolis!!!!! Land of EXTREME temps.! We are all sweltering hot so looking at these icy pictures makes me feel better. When I get a chance, I’m definitely going to through in posts about my two weeks in New Zealand as it is by far one of my favorite countries I’ve been to. Thanks for your support! 🙂 I enjoy reading your posts as well! You are busy! Yay know I’ll have opinions on your NZ posts for sure! Hope the heat isn’t too exhausting for you. Mild winter here so far, so not complaining. Wow, wow and wow!! Your photo’s are breathtaking. I must visit Iceland now. The glaciers and all the ice, wow! You are a brave and courageous woman, go forth! No mention of the smell? I’m guessing you were on Solheimajökull, if so, you can’t have missed it. Great photos. Hmmm…maybe my nose was plugged! This was two years ago so I am writing off memory. But you are right, I should have remembered that. See what happens when you have young kids! you are forgetful….I will try to refresh my memory as now it is ringing a bell. Again, I was so cold and wet that my memory could have been frozen! ha ha….thanks for the comment! 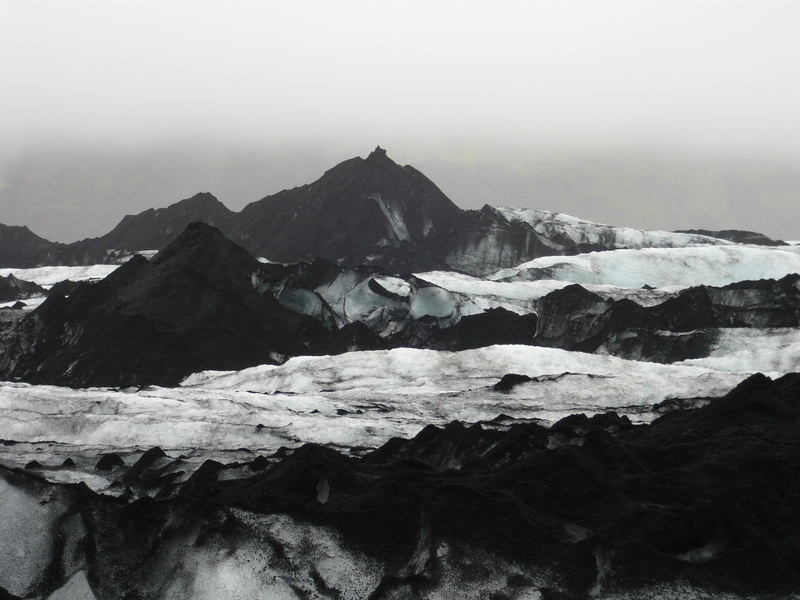 I’ve been wanting and waiting to go to Iceland for ages – we’re “planning” a trip for this summer… fingers crossed! Your photos are beautiful and certainly convey the start beauty of this amazing geological/geographical island! You got Freshly Pressed! so well deserved for this post. A big super congratulations!!! Wow! You are so lucky to have had the chance to do the entire island! I want to definitely go back and do more hiking. There is so much to see! Did you write about your experiences on your blog? I’ll have to check it out. Thanks for your comment! Wow.. what a fall..Great waterfall pictures!! amazing photos and blog! thanks for sharing. i’ll be adding iceland to my bucket list. 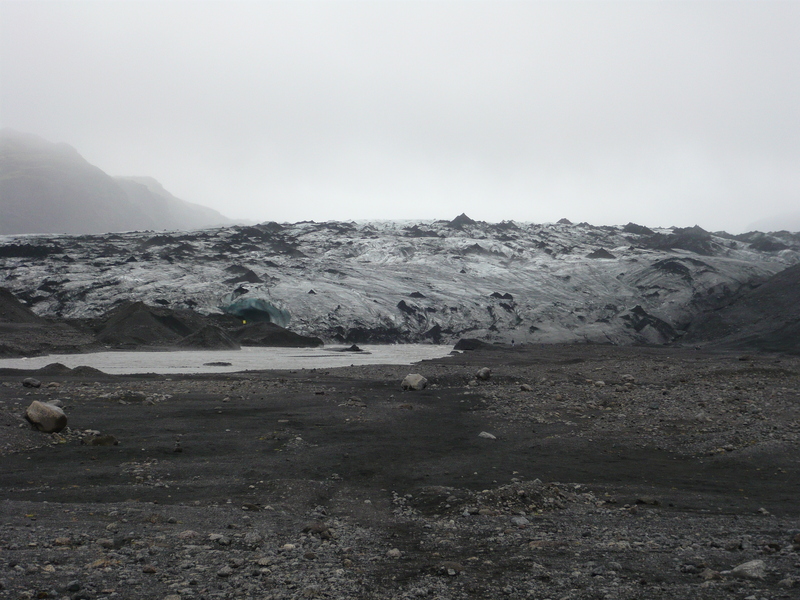 Isn’t it dangerous to be driving across those glaciers with all those crevasses around? Or do the locals like a challenge?! You sound like my husband . . . He believes there’s no such thing as bad weather, just bad equipment! Thanks! Yes I would imagine it is quite dangerous but from what I recall, Icelanders are crazy adventurers and in for the challenge. Living here in Minnesota, we have over 10,000 lakes and they are frozen each winter for months. It is quite common for us to drive around the lakes on the ice for amusement (well, when I was a teenager of course) and there are even some lakes which trucks drive over! Maddening world isn’t it! I was in Iceland one year ago this week! 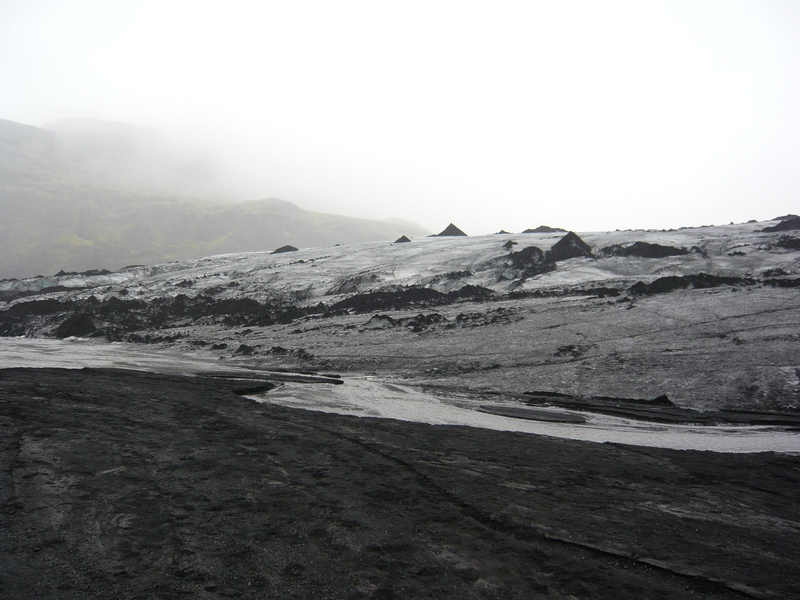 I didn’t get to Myrdalsjökull Glacier, but I did hike on a glacier on the western side of the island. I also went to the Latrabjarg Bird Cliffs which was one of the very favorite things we did. Wonderful pictures! That’s one of the places I would like to visit one day! these pics stirred my desire of traveling and visit such places. loved them! i was wondering what does it take to get pressed? Thank you! I’m glad you liked the pics. As for the pressed, I have no idea actually. This is the second one of mine that got pressed. My earlier one on Argentina titled Hike to Mount Fitz Roy was the first and it was a surprise. I think it is a bit of luck and there i actually some advice in Word Press under the help section on attracting readers. It said to write frequently, with passion and have an enticing title. Hopefully that helps and keep writing! WOW, great photos! what an adventure! Great post! 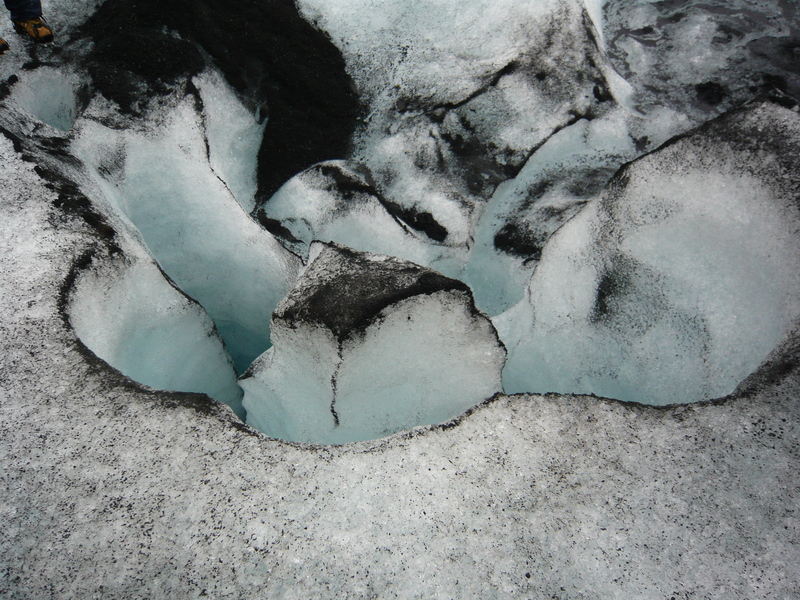 I really enjoyed the pictures of the crevasses and ice formations. This is one of the few Fresh Pressed I actually read all the way through! stunning landscape & beautiful shots…thanks to share it!! Beautiful pictures… Amazing. Reminds me of the time I saw a volcano erupt on Hawaii. Similar experience, different temperature. 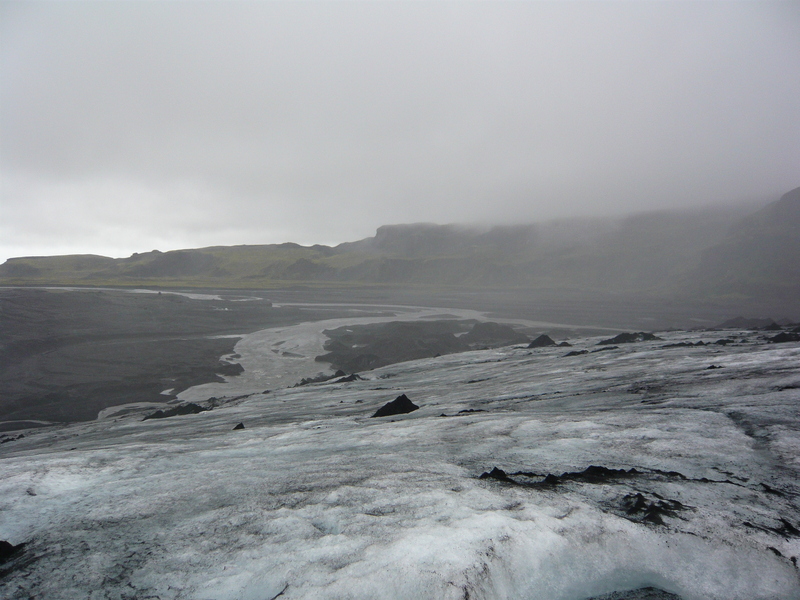 Great post – Reykjavik is a nice town and well worth seeing but Iceland’s glaciers are amazing. I’ve done ice treks in Norway and the Alps but not when I was here. These icefields are vast!! Extraordinarily beautiful photos…particularly the ice..reminds me a bit of this film – Stalker. nice pics, i have a question; did you add the bigger pics in this wordpress? And how much space do you have? Or do you have another photo album? Thanks! I did do the first upgrade for photo storage with Word Press. I think is costs about $20 or so. It is under the upgrade information. That just gives me more storage and as I already have a ton of posts, I still have 90% space remaining. I felt like it was worth the upgrade. As for the size, I don’t know why the pictures are coming up so large sometimes. I’m not that technologically savvy and am just learning WordPress so this is actually a mystery to me. Some photos I am scanning and the sizes and resolution are different on those ones (like the pics from South Africa which I took before digital cameras existed). Hope this info helps! OMG, that looks like an amazing adventure. Loved the pictures! Fantastic post, as usual! And, congrats on being Freshly Pressed!! I appreciate that you’ve provided the originals. Hello new background! Oh Wow! So jealous of your trip 😉 Amazing pictures and great article!!! that place look so awesome! wish I could experience it someday! Awesome shots! Still kicking myself for not going on a glacier hike in Iceland. If you’ve got time, you should head up to Mytvan in the north east. or Silfra just outside of Reykjavik. It’s worth it. oh my god!! the waterfall is very beautiful.. amazing!! if you like hiking you can go to my country. a lot of beautiful volcanoes here.. This is an awesome record! Amazing photographs and really passionate account to boot! Makes me want to convince my Fiance of a honeymoon trek! Thank you so much for posting and sharing these! I have one word to describe the pictures of the falls: PARADISIACAL. I felt like I was transported to paradise through those pictures. Nice adventure, by the way! Gorgeous pix! 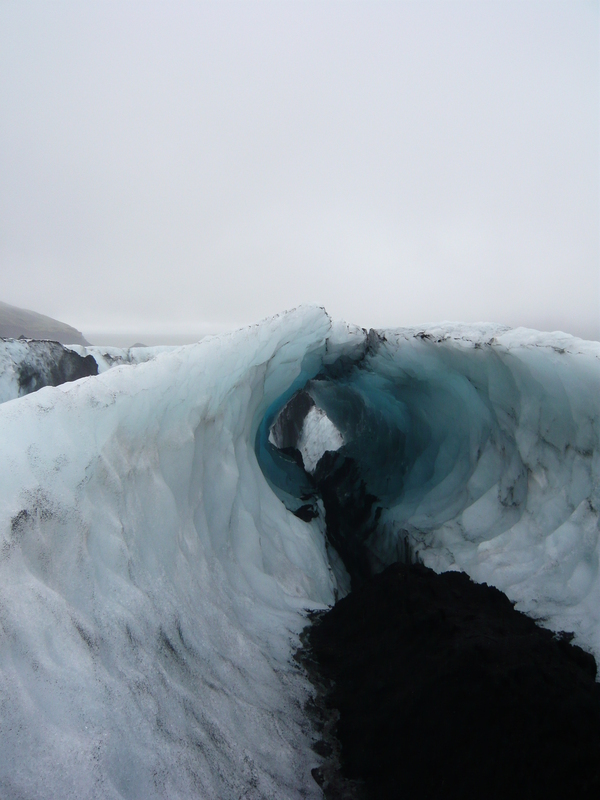 I especially love the crevasse shots. 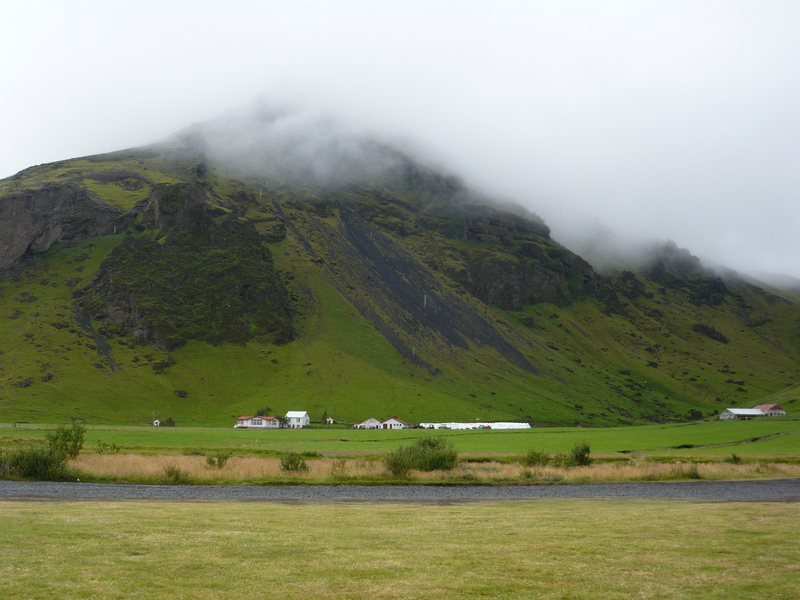 I’ve been to Iceland several times and especially love the green moss. This time of year, the rivers run a bright blue, as the glaciers melt. The landscape changes with the seasons and the countryside looks completely different. Thank you for showing me a part of the country, I hadn’t the fortune to explore. I hope you have many more visits in your future. i never been visiting any waterfall yet but your photo make me fall in love to have a visit there too. 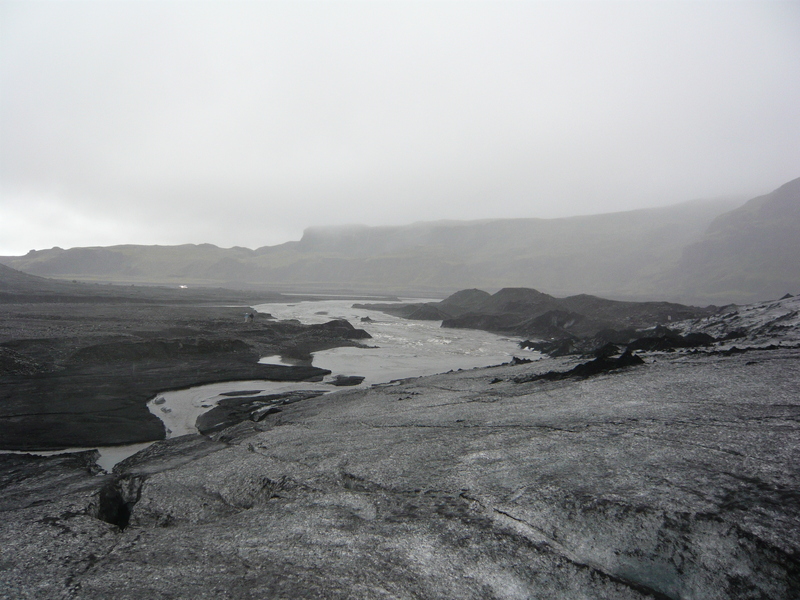 If i not mistake iceland now is having serious mount eruption of lava, hopefully over it soon. I read newspaper say the gas is unhealthy for people and environment as these gas contain what….I not sure about it but if danger to human better stay away for while. Wow…this is awesome! Did you take these pictures? 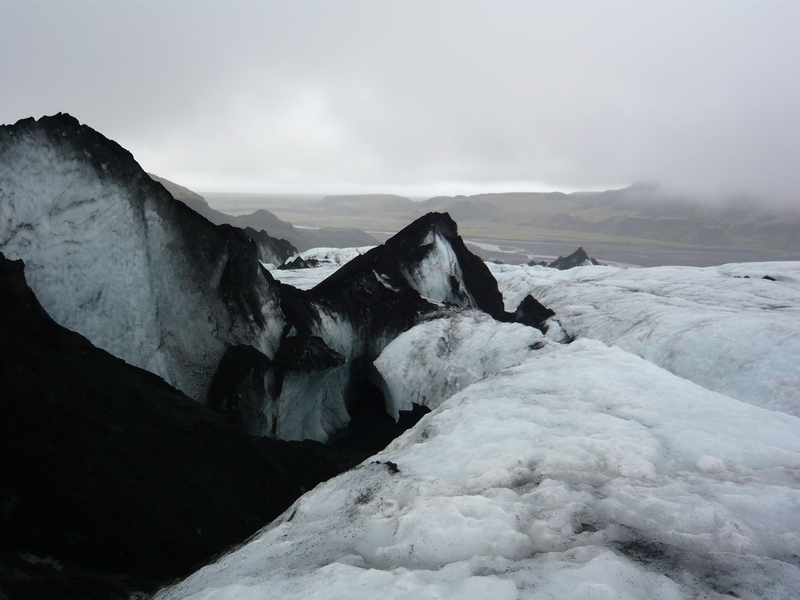 Yes I sure did, right on the glacier with my cheap digital camera. Can you imagine how amazing they would be if I was a professional photographer! Just goes to show you that nature is unbelievable! What a fabulous post; thanks so much for sharing! Iceland has been at the very top of my extensive travel wishlist for a long time, for the landscape, unique culture and awesome language. Have you learned any Icelandic, or do you know much about it? Being a huge language nerd, I’d relish the chance to geek out on a very, very old language that has changed so little over the course of time. I’m excited to see your next few posts! Thanks! 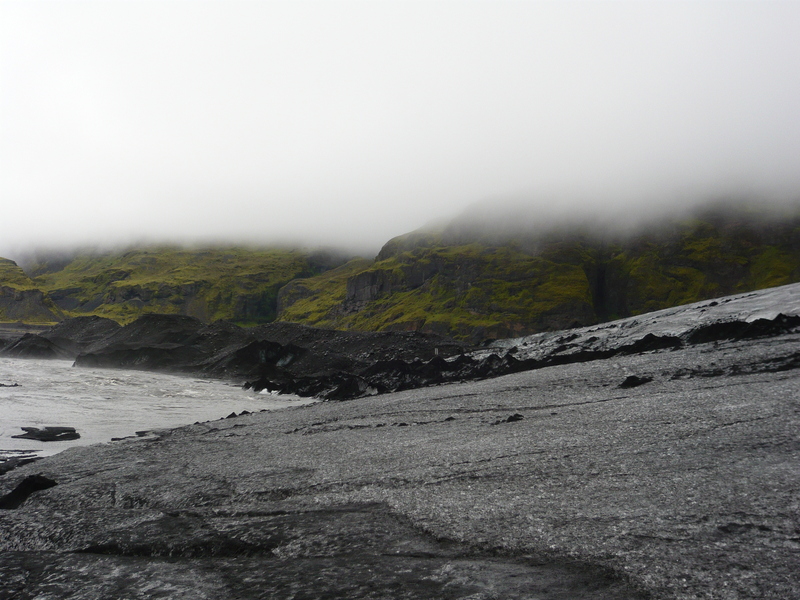 Yes, Iceland by far was one of my favorite places I’ve been. It’s been two years now and I dream of going back someday with my husband as it is such a magical place. I love languages too and did not learn any Icelandic. With such a small population of people, I hope the language can be preserved. The sagas would be amazing to read too! Hope u enjoy a lot!!!!! Iceland is by far one of my most favorite places of all and depending on what you like to do, it is an outdoor paradise! There is tons to do and see! I’m stunned. Gorgeous pics. The only views I know of Icelnd is what I know from ATopGear! Those ice formations a utterly gorgeous. Thanks so much. Im planning on visiting Iceland in August-ish and im concerned about clothing a bit. Ill bring layers, but how cold does it get? Also were you provided these boots by your tour company? Great post! it was kind of funny…i was about to announce my photography website update with new images from Iceland on my blog, and I saw this one showcased by WordPress! In any case, really glad you enjoyed the trip to Iceland…it is indeed a magical place, where magical images can be taken! Thanks for the comment! I will have to check out your site! I am by no means a professional photography and actually take all my photos using my $200 digital camera. I am still shocked at how good some of my picutres come out. I can only imagine what the same photos would look like by a professional photographer who is trained and artistically creative. Can’t wait to see your photos! Grear pictures!!! Some of them are really gorgeous!! Looks like an amazing place!! Your so lucky you get to have so many adventures around the world. 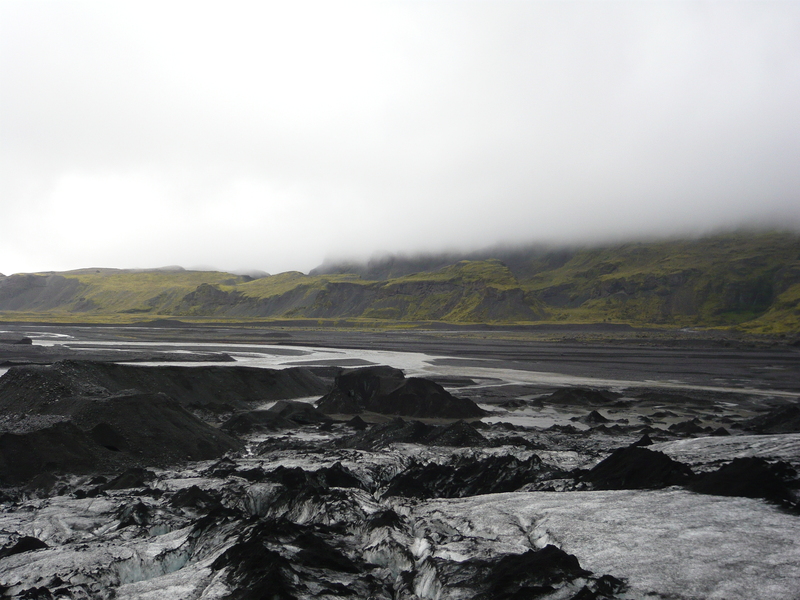 Iceland is so beautiful… one of these days I’ll travel there. You are an awesome writer. I had fun looking through your posts this morning. Thanks for sharing your exciting life with the world!! 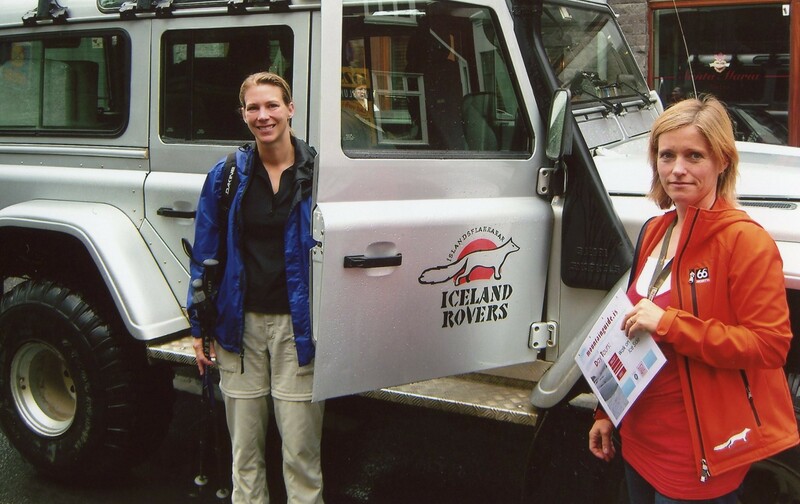 I went to Iceland when I was younger – an incredible experience. Seeing all your photos brings back a lot of memories and maybe I shall have to go find all the photos from my trip. It is as you say a stunning country, standing behind Seljalandfoss was one of the highlights of my trip , there was another incredibly large waterfall that I saw but its name eludes me. 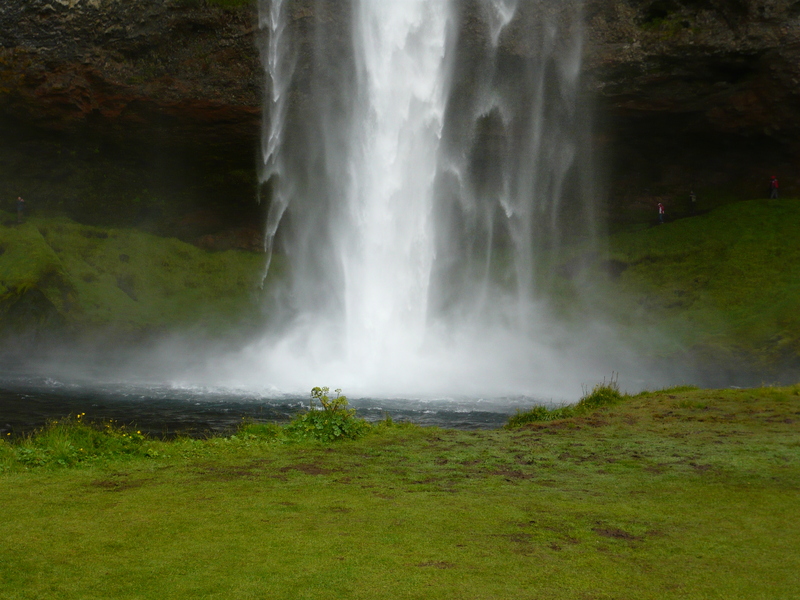 Although I think I have seen my quota of waterfalls for the rest of my life after the trip to Iceland. Thanks for sharing! Reminds me of my extended trip around the country a few years ago. It definitely is a land of extremes, unique and quite beautiful. Glad you enjoyed! I would love to do an extended trip there. So many places to see in the amazing world we live in! Thank you! Still working on the next posts….stay tuned..
of a Jellyfish lake in Palau. This is the second time I shared the link on a nature/trip-related blog entry, but I can’t help it. I just wanna share how magical nature is. 🙂 The photo of the crevasse is so beautiful! Thanks for sharing these! Pretty cool stuff! Thanks for sharing! What a great work you have done. Wow… that is insanely beautiful. Thanks for bringing us along for the journey. Iceland is high on my list, but my wife rolls her eyes on this one. Same for Antarctica. I like the photos, one day I will get her there, but I can’t let her read your post about the freezing cold rain. 🙂 I see in the comments section that you have spent 2 weeks in New Zealand. I will sign up and look for your post on that trip. By the way it is cool 94 in Fort Lauderdale. Who knew you would need to go to Florida to get away from the heat! 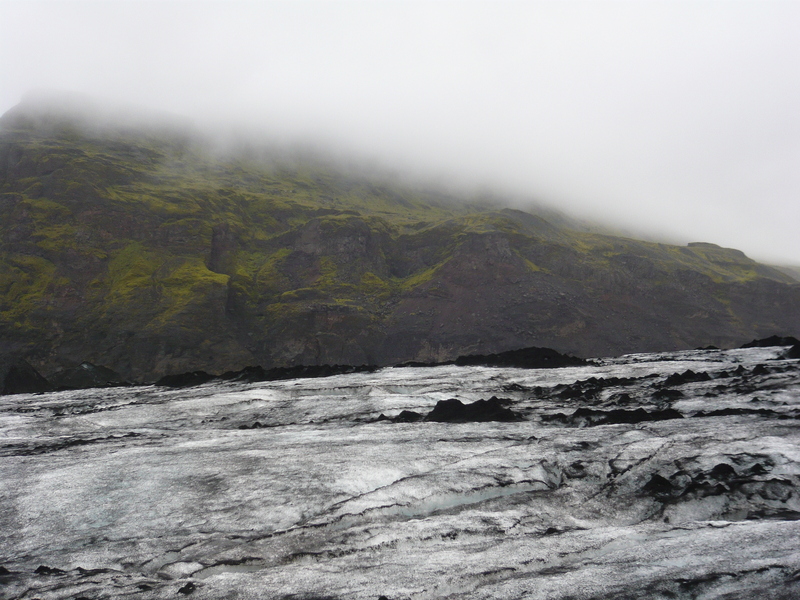 Iceland really wasn’t that cold except for the glacier hike. It was generally perfect 60-70 degrees. If your wife doesn’t like cold, don’t hike southern Patagonia! Now that can get seriously cold but then again, I am from and live in Minnesota where I run year round in zero degree temps. It was 113 degrees here last week so it is extreme temps! As for New Zealand, one of my favorite places ever as well as Nepal. The trekking is fabulous. I haven’t written about that one yet. I’ll get there but I did write about my two week trek in Nepal as well as Argentina. Check it out! I remember this one. Have you noticed that there is a little group of people who comment on every Freshly Pressed? Hi There! This is an amazing blog and would love to email you as I am planning on taking a trip this October. Would you mind shooting me a quick email so that I can get some pointers some advice? susie.varga@hotmail.com thanks so much! Thanks Susie! I hope everything I sent you helps out! You will love Iceland!